On October 22, the House Natural Resources Subcommittee on Water, Power and Oceans held a hearing on the Gulf States Red Snapper Management Authority Act (H.R. 3094) and heard testimony from eight panelists. Introduced in July by Rep. Garret Graves (R-La. ), Rep. Jeff Miller (R-Fla.), and 27 bi-partisan co-sponsors, H.R. 3094 would extend formal federal recognition to the historic agreement between the chief fish and wildlife officials of all five Gulf States to accept joint responsibility for management of the red snapper fishery in federal waters. 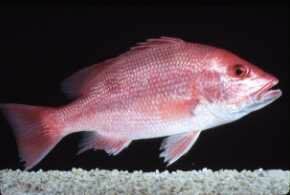 Under the Act, states will have the authority to manage red snapper populations at the state level, using a model that manages for a healthy population and a robust fishery in order to optimize access for both commercial and recreational fishermen. Rep. Graves received letters of support for H.R.3094 from all five Gulf states prior to the hearing, each expressing concern over the federal government’s dramatic departure from established wildlife resource management practices.